Palestinian Arab leaders mourn the death of former Cuban president who called on Israel to withdraw from Judea, Samaria, Gaza and Jerusalem. Palestinian Arab leaders on Saturday mourned the death of former Cuban president Fidel Castro, who passed away on Friday at the age of 90. Castro, who was considered pro-Palestinian and was close to former Palestinian Authority (PA) chairman Yasser Arafat, among other things signed a manifesto "supporting Palestine" and demanding Israel withdraw from "the West Bank, Gaza, and East Jerusalem." The head of the Palestinian National Council (PNC), Salim al-Zanun, highlighted in a statement quoted by the PA-based Ma’an news agency the historical relationship between the PA and Cuba, and recognized Arafat’s relationship with Castro. Al-Zanun added that Cuba today still believes in the justice of the “Palestinian cause” and continues to support the Palestinian people’s right to self-determination, return, and an independent state with eastern Jerusalem as its capital. 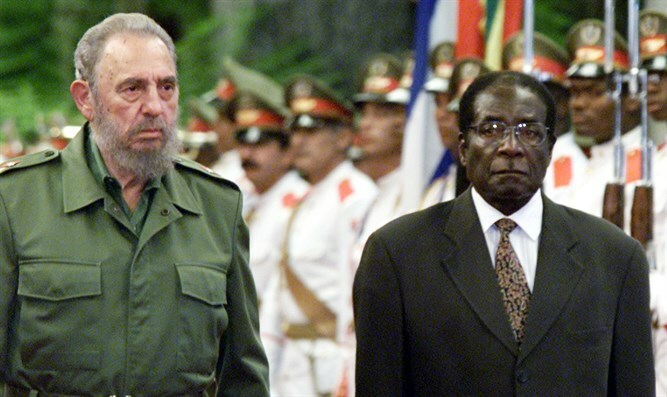 “From Angola to South Africa, Palestine to Mozambique, Bolivia to El Salvador, Castro’s legacy of international revolutionary solidarity and struggle continues to serve as an example in practice that transcends borders toward revolution, democracy and socialism,” the statement said, according to Ma’an. Castro broke off Cuba’s diplomatic ties Israel in 1973, after the Yom Kippur War, and was one of the first countries to recognize the Palestine Liberation Organization (PLO) after its founding in 1964. Meanwhile in Syria, President Bashar Al-Assad hailed Castro's "legendary resistance" to the embargo imposed by the United States against Cuba in a statement marking the death of the leader. "The great leader Fidel Castro led his people's and his country's struggle against imperialism and hegemony for decades," Assad, whose government is facing U.S. sanctions, said in a message of condolences quoted by AFP. "Cuba, a friendly country, was able thanks to its leaders to resist against the toughest sanctions and most unjust campaigns in our modern history," Assad added.